The CRAGAR Company was founded in 1930 by Crane Gartz and Harlan Fengler who originally made automotive cylinder heads. 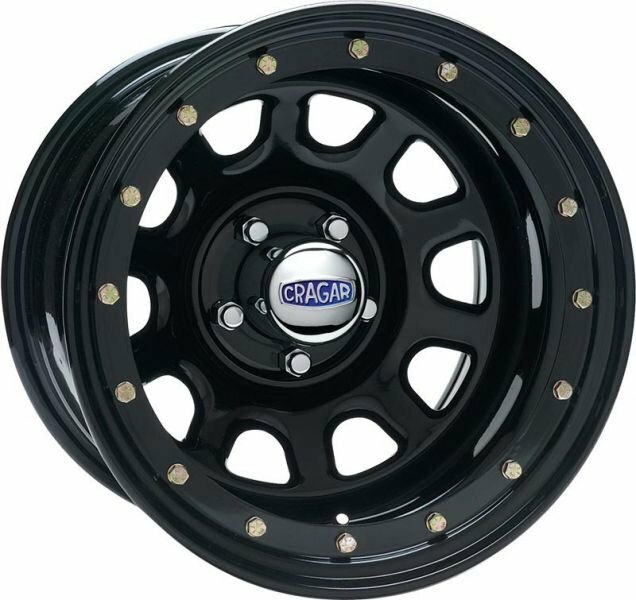 After propelling itself into prominence in the 1960's, the CRAGAR brand has retained a prominent position in the custom wheel industry. Today, tens of millions of vehicles are equipped with quality CRAGAR wheels. From street rods to dragsters, pickups to off-road vehicles, CRAGAR is synonymous with speed, performance, good times and adventure. If you're in the market for Quality steel wheels for your CJ or Wrangler, CRAGAR has all the latest styles! All CRAGAR Wheels are manufactured in the USA to exacting standards. 352 Series Wheels require conical seat (acorn) style lug nut. Backspacing Range: 3.75" - 3.99" or 4.00" - 4.24" or 5.00" - 5.24"